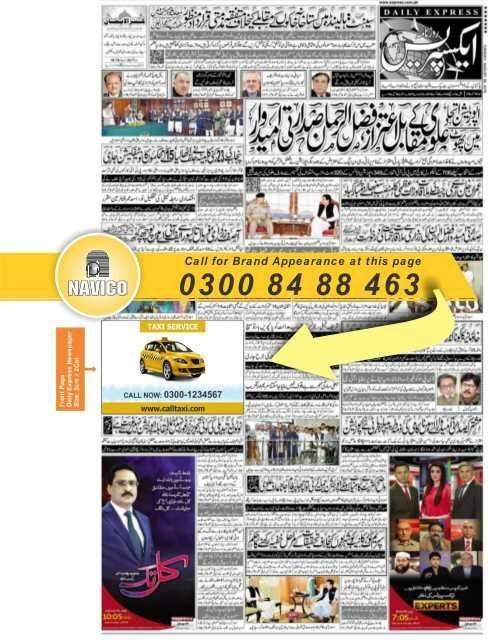 Get best advertising services in Lahore for classified and commercial advertising in daily Daily Jang, Express, Nawa-i-Wqt, Dunya, Khabrain, Dawn, The News, Nation, Business Recorder, Kawish (sindhi), Mashriq/Aaj Peshawar and all leading regional & National Newspapers. No extra charges, just pay newspaper price. call now or whatsapp at 03008488463 or send an email plz.